Miles Griffith & "New Ting!" Nick Russo is currently the guitarist and banjoist with Vince Giordano and The Night Hawks and with vocalist, Miles Griffith. Nick's new CD "Ro" was just released with Mark Turner, Miles Griffith, Samir Chatterjee, Bryan Murray, Greg Glassman, Art Hirahara, Matt Clohesy, Nathan Peck, Ari Hoenig, Willard Dyson & David Pleasant. Nick is also a sideman with organist, Jimmy McGriff, vibraphonist Teddy Charles, drummer, Doug Richardson, vocalists: Anastasia Rene, Jennifer Jade Ladesna, Eve Cornelious, Malika Zarra, Taeko Fukao, Annette St. John, saxophonist, Eric Pakula, and many others. He has also been a sideman with Jim Nolet (former violinist with the Jazz Passengers), Sonny Dallas (former bassist with Lennie Tristano & Lee Konitz) and The Frank & Joe Show (Frank Vignola and Joe Ascione). His first CD as a leader was recorded February 2002 with legendary trumpeter, Dr. Eddie Henderson, bassist, Essiet Essiet and drummers Ralph Peterson and Montez Coleman. While attending the Jack McDuff raiser in 2002, Nick Russo satin with George Benson at Showmans and Birdland. 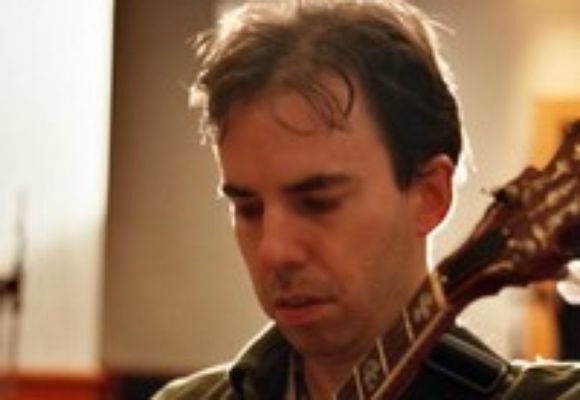 In 2004, Nick had a chance to perform with Bill Frisell and sit-in with Dave Douglas & Mark Turner at the Banff Centre in Canada. Musicians such as Frank Wes, Ralph Peterson, Eddie Henderson, Mark Turner, Ari Hoenig, Steve Hass, John Benitez, Ed Schuller, Todd Coolman, Barry Altschul, Elliot Zigmund, Dennis Irwin, Gerald Cannon, James Cammack, John Ormond, Daryl Hall, Essiet Essiet, Alvester Garnett, Joe Ascione, Bruce Cox, Tony Moreno, Montez Coleman, Jeb Patton, Bill McCrossen, John Ray, Miles Griffith, Marion Cowlings, Antonia Bennett, Eve Cornelious, Stephanie Rice, Monica Lynk, and Sachel Vasandani have appeared in his group. Currently subbing on a Broadway show "A Jew Grows In Brooklyn" at the Lamb's Theatre, Russo has performed on many off-Broadway shows such as: Man Of La Mancha, The Lion King, Greece, Sweet Charity, The Pajama Game, The King and I, The Wiz, Annie, Foot Loose, Mary Poppins and has subbed on the Big Apple Circus and Yankee Doodle Circus tours. Nick is also the author of 2 books: "Metallica, Legendary Licks series vol. 1 & vol. 2" as well as the editor of the GRP Arpeggio book and exercise book (published by Cherry Lane/Hal Leonard). As an alumni of the Aaron Copland School of Music (Queens College), Nick Russo continues to conduct jazz clinics and workshops throughout many high schools as part of The Jazz Project via The Colden Center since 1997.